CamKix Dual Pro Charger The CamKix Dual Pro Charger is suitable for the batteries of your GoPro HERO 5 Black. Simply connect the USB charging cable to a wall socket charger, the USB port of your notebook or a portable power pack. 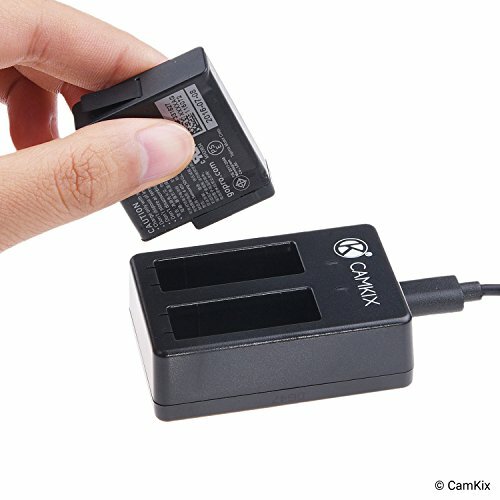 This CamKix charger is 100% compatible with your original GoPro equipment. 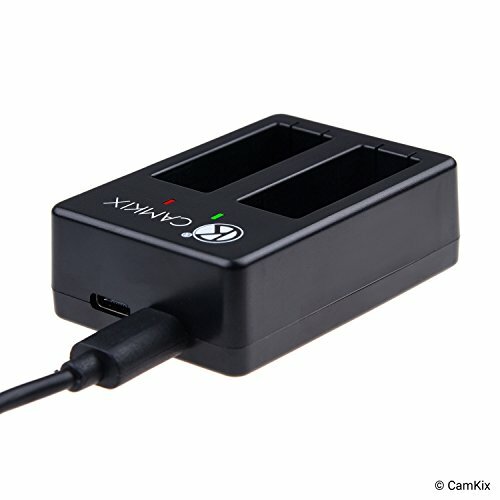 Battery model: AABAT-001 The Dual Pro Charger is an essential accessory for GoPro enthusiasts that have 2 or more batteries. 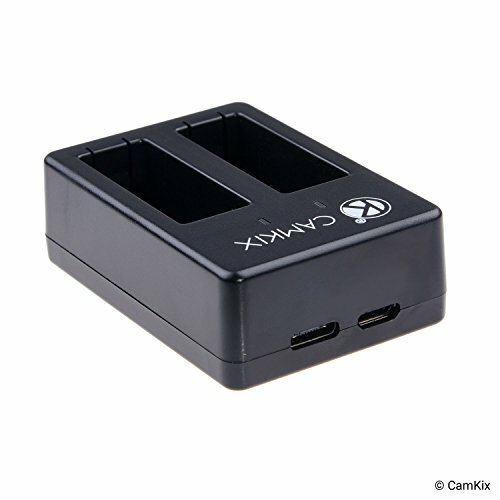 It allows you to keep using your GoPro cam, while a second or even a third battery is charging. 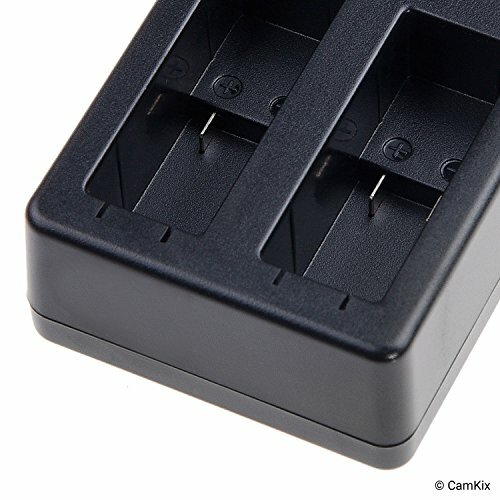 The battery charging compartments are designed to fit the batteries of your GoPro HERO 5 Black. Make sure you insert each battery in the correct position. When the LED indicators change from red to green, the batteries are fully charged. 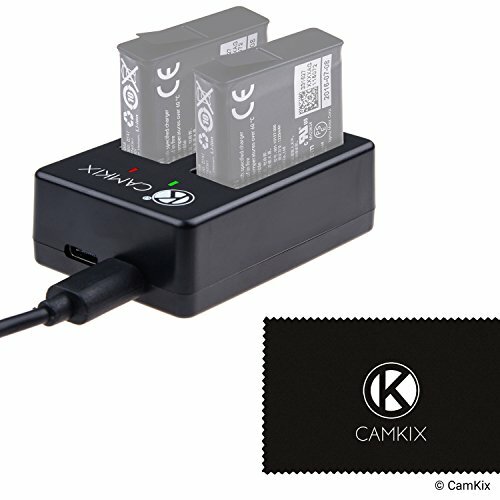 The CamKix Dual Pro Charger offers you the exact same functionality as a standard GoPro dual battery charger, at a very reasonable price. 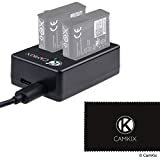 Contents: - 1x CamKix Dual Pro Charger - 1x USB Charge Cable CamKix If for any reason you are unhappy with any product by CamKix, please do not hesitate to contact us. 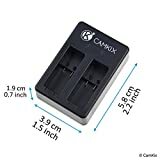 We take full ownership and responsibility for the quality of our products and will do our very best to solve your problem quickly and efficiently! 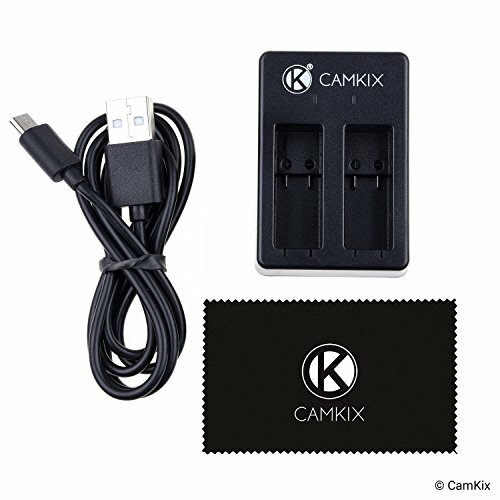 CamKix-USPTO# 86127507- is a registered trademark protected by US Trademark Law. 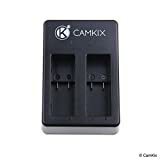 CamKix products are sold by authorized sellers only.This product and/or service is not affiliated with, endorsed by, or in any way associated with GoPro Inc. or its products and services. GoPro, HERO, and their respective logos are trademarks or registered trademarks of GoPro, Inc.